COAST is proud of the electoral success enjoyed by founding member Tom Brinkman in 2014. First unseating an incumbent in the Republican primary, then cruising to victory in November. Now, the hard work starts as Tom rejoins the Ohio House. 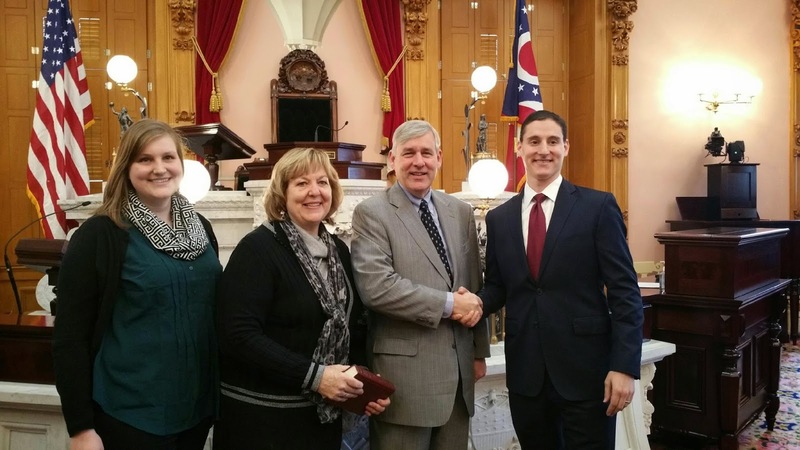 State Representative Tom Brinkman was sworn in by State Treasurer Josh Mandel on Monday, January 5, 2015. Accompanying Tom on the floor of the Ohio House are his wife Cathy and daughter Kelley.